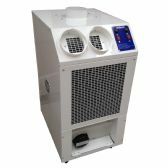 Inside air Ltd are a leading supplier of both fixed and portable / mobile air conditioning units in the UK. We offer a comprehensive range of equipment for both Hire and Sale to cover any application. Our ranges include Portable and Fixed Air conditioning systems, Heaters, Fans and Evaporative Coolers along with Dehumidifers , Humidifers and Air Cleaners. We have over 25 Years Experiance in distributing air conditioing so you can be sure that your orders are in safe hands.